Now I know this is going to be controversial, but I am a big believer in everyone having some responsibility in our home and doing things for the good of the family. So I do not pay the boys for doing chores. 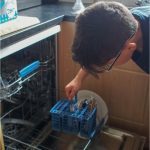 It is expected of them and as they get older they get used to helping out around the house. I do what is best for my family at the time. We still have our battles, in fact getting Mini to keep his room clean is a constant issue! I often find what works best is setting a timer and doing things together, especially for my ultra competitive boys. Another way that works for my family is putting some music on loud and dancing through the cleaning! Just look at Mini doing the vacuuming. It has become his job since we got our new Bissell PowerGlide® Cordless Vacuum Cleaner. 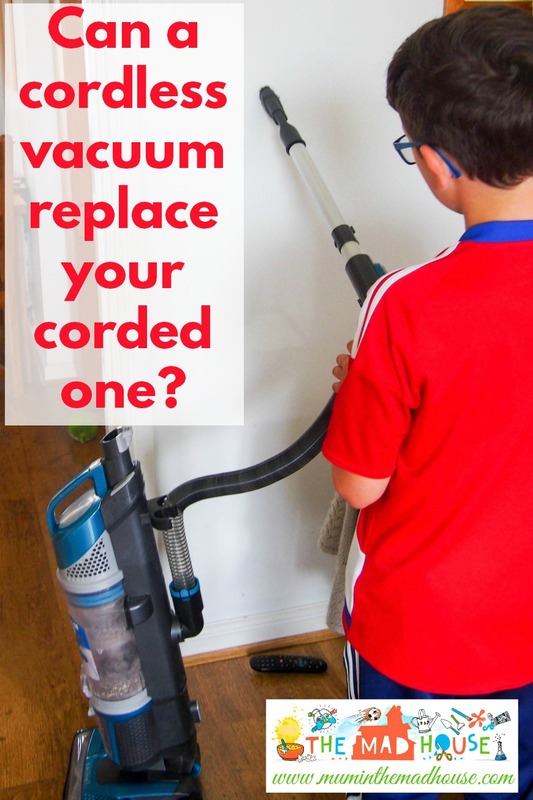 Mini used to like vacuuming, but he always got tangled up in the cord, so the fact that this vacuum has 45 minutes power from its battery and it makes it so much easier for him. 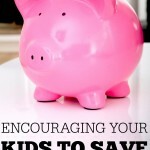 That is one of my tips, make it easy for the kids to help. Give them the tools to help, whether than be mini sweeping brushes or their own cleaning kit. You can not expect your ten year old to empty the bins if they do not know where the bin bags are. Oh and my biggest tip is don’t expect it to be up to your standard or as fast as you could do it yourself, but do not take over. You want to encourage them to do it, so praise them and encourage them. 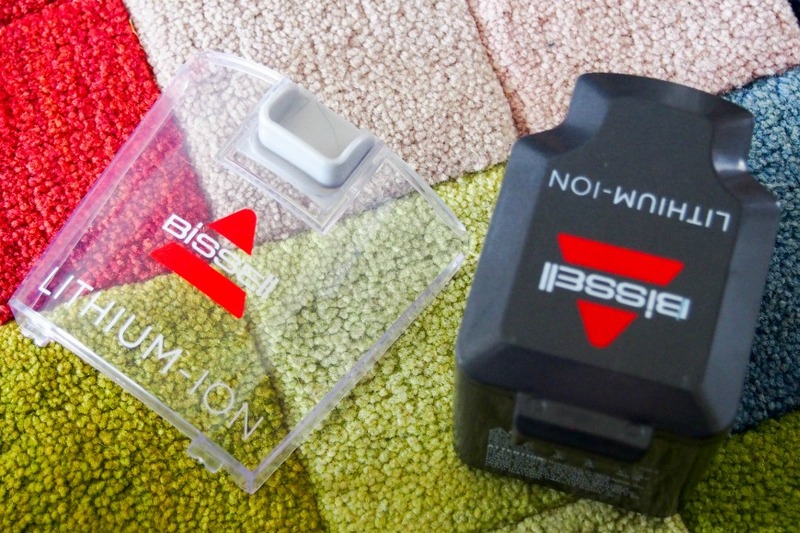 Since I am no longer the chief vavummer in the house, I asked Mini to give you the low down on the Bissell PowerGlide® Cordless Vacuum Cleaner. It is great having a vacuum cleaner that you do not have to plug in, it means I can use it without getting tangled in the cords. 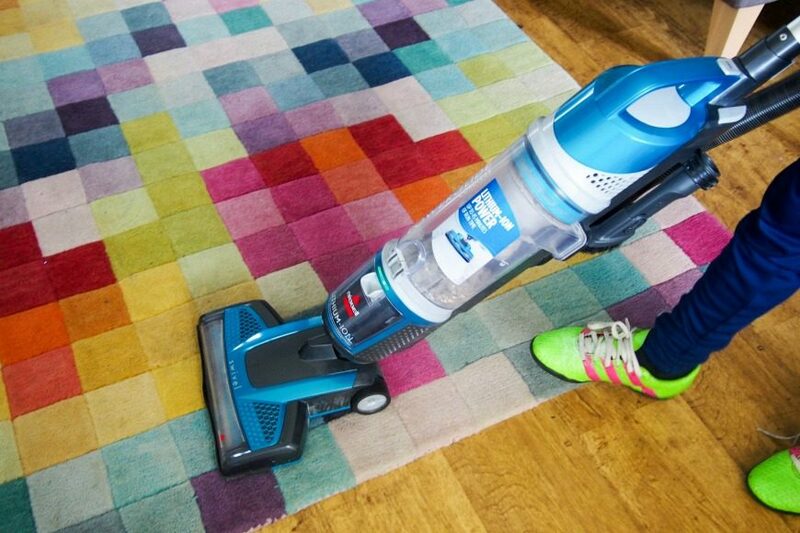 This vacuum is really simple to use and moves really well on both our hard floor and carpet. I like that it has a brush attachment for the wand as it means I can dust the skirting board, but I would have liked a longer wand as I can not reach the ceiling with it (but I am only 9)! I also would have liked a warning when the battery was about to run out, instead the machine just cuts off, but being a lithium battery it does charge pretty quickly. I like that the canister is small and easy to empty, this means that I can do it on my own straight into the kitchen bin. From my point of view the fact that it is cordless has meant that it is used more often and that is great, but personally I found the suction from the hose a little light and sometimes I forgot to change the switch from hose to upright. It definitely doesn’t have the same suction as a corded machine as we can use it on our rugs at the front door without it lifting the rug. However, the main advantage of this machine is that it is cordless and who would have thought that we would have cordless, rechargeable (not handheld) vacuums that had the battery life to clean an average home (ours is 4 beds and it cleans that in one charge) just a few years ago! 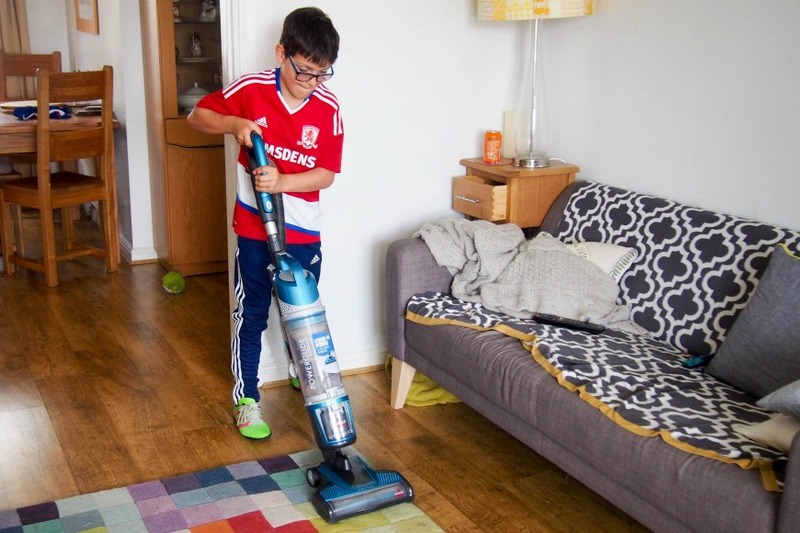 The Bissell PowerGlide® Cordless Vacuum Cleaner will not be replacing our corded machine yet, as it isnt as powerful or has as much suction as it, but it is perfect for regular use and for the boys to use. There is never a whinge when we had to grab it if there is mud dragged in (which there often is). So there is a place for this in our home, but I am still looking for the holy grail of vacuum cleaners that can deal with all the floor surfaces in our home. Should you pay your teens to do chores? Interesting list. My daughter is 8 and is absolutely terrible at doing anything. She has a paddy when I ask her to tidy her own room! 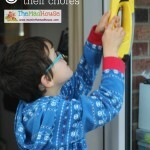 So far I’ve gotten away with the boys enjoying chores – especially wiping up and vacuuming. Now, picking up Lego is a different matter! 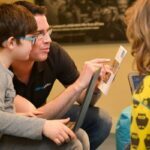 We don’t give pocket money either as they are so young – that’s always controversial too. I wonder if we named chores something more exciting, they wouldn’t seem so much like… well… a chore! 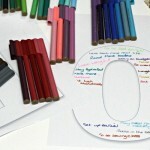 Great printable Jen! I agree with you on the chores front. My son vacuums the stairs each week with a hand held vacuum. I’d like to find a daily job for him to do, but I haven’t found the right one yet because he either can’t physically do it or he isn’t around when it needs to be done. I don’t do this and I know I should. I fall into the trap that it’s easier and quicker to do it myself, which is so bad. Naughty me! 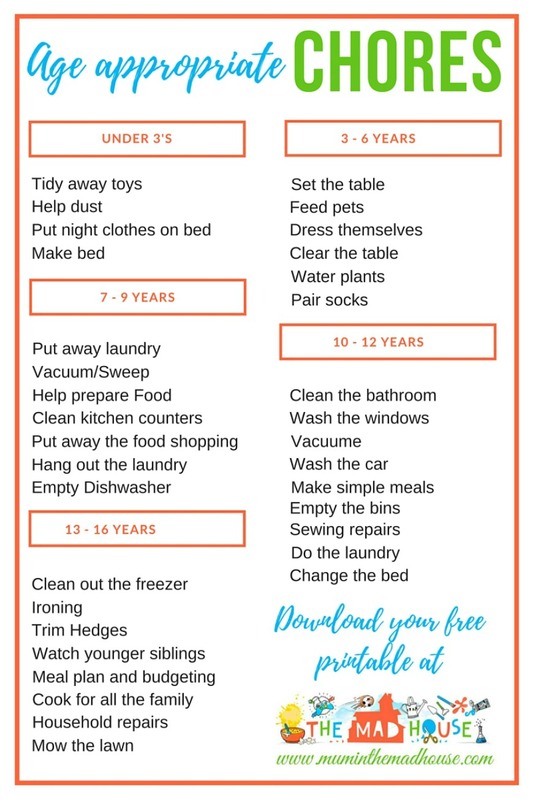 I’m going to show my ten year old this list, he’ll have a fit haha! To be fair, he can do most of those things but not sure I’d trust him with the bleach in the bathroom! Oh the dreaded battle over chores! 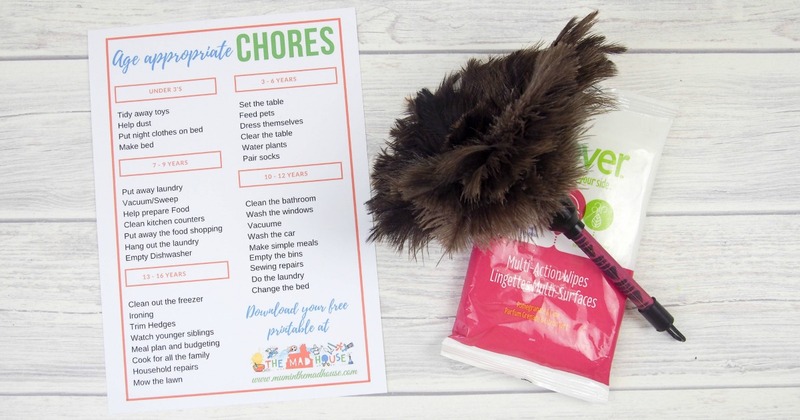 We have always encouraged our children to help around the house too but I find it depends on the time of day; if the kids are tired then we have no chance of getting them to help with anything! The cordless vac looks great too.